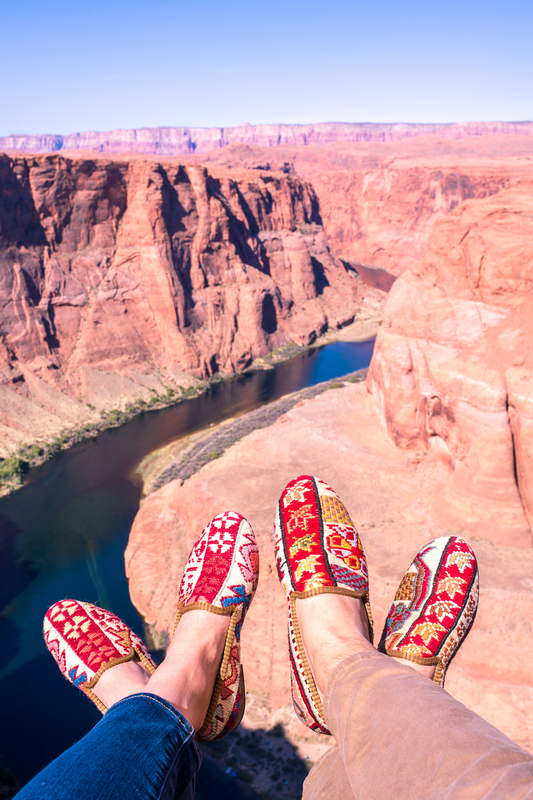 This post is Part 3 of our Arizona Road Trip. Find Part 1 here, and Part 2 here. 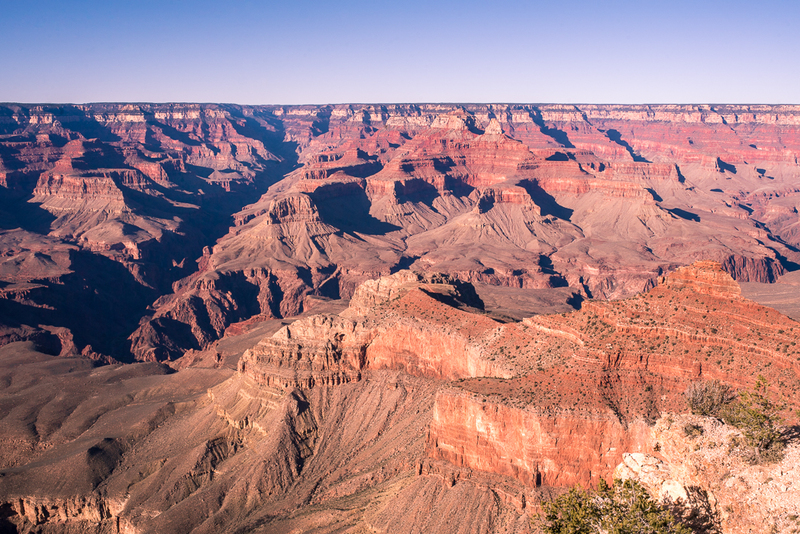 After spending time with our friends in Scottsdale we set out to see the Grand Canyon. 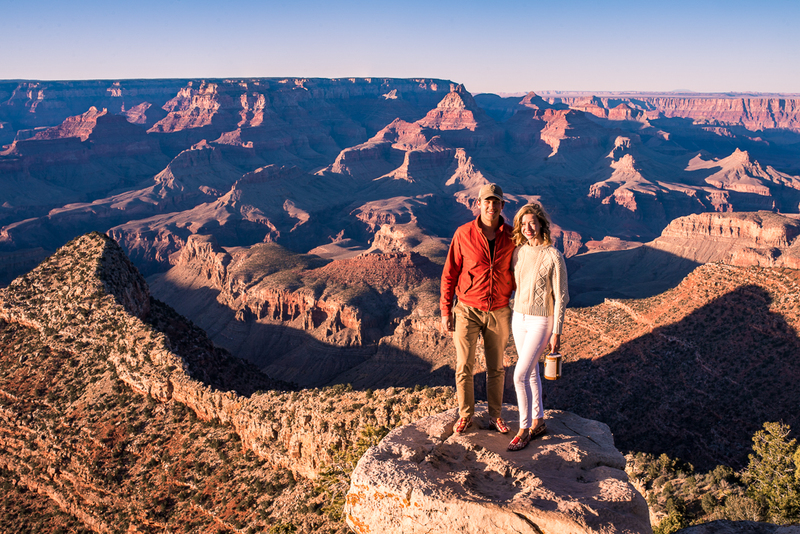 It’s only a three hour drive north of Phoenix, so it could be done as a day trip, but we decided to spend the night in the tiny town of Page, AZ so we could wake up to catch the sunrise at Horseshoe Bend the next day. 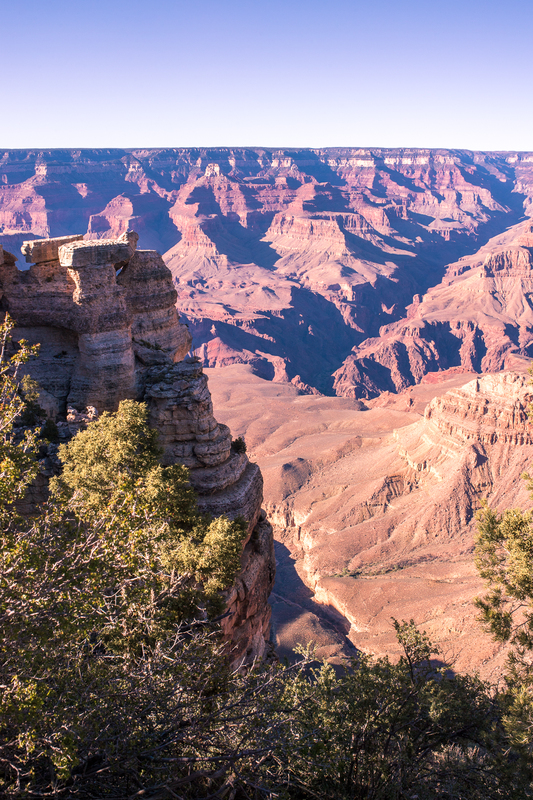 This was my first time seeing the Grand Canyon, and it was even more majestic than I imagined. 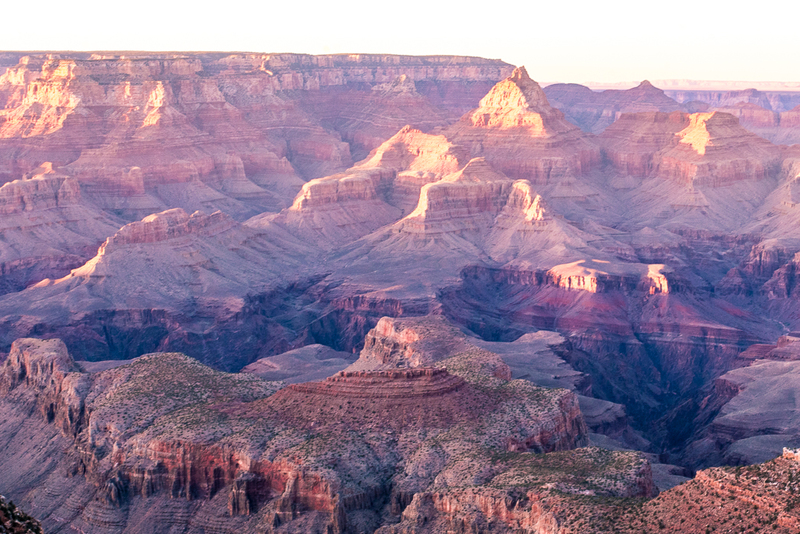 Pictures simply cannot convey the shifting colors and vastness of America’s best known landmark. 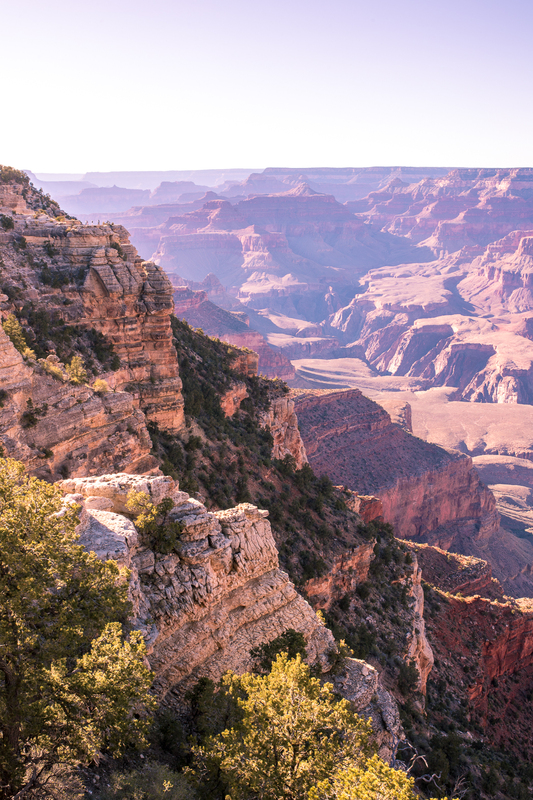 We arrived at 4pm, with enough time to take in the views from the outlooks around the Visitor’s Center, before driving east towards Grandview Outlook to settle in for sunset, stopping at smaller scenic spots along the route. Of course any road trip is more fun in a convertible, but I extra recommend taking one on the drive around Arizona. 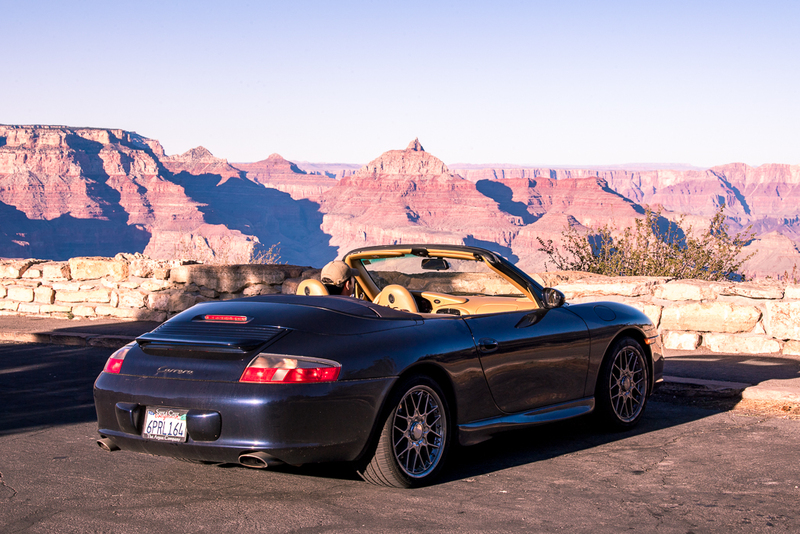 The weather is perfect for cruising through National Parks with the top down, radio blasting. 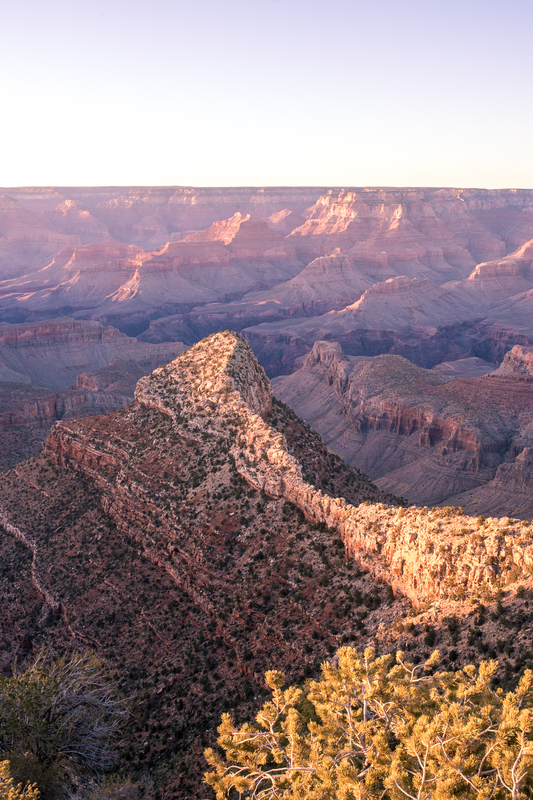 We reached Grandview Outlook, where the picture below was taken, about 45 minutes before sunset. 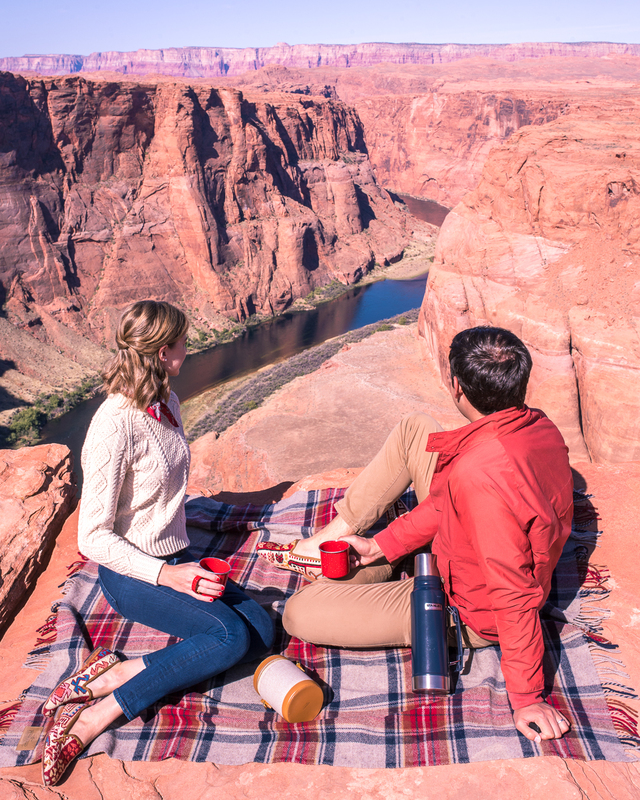 So we laid out our new picnic blanket and settled in to watch the shifting hues of sunset across the canyon. There isn’t much in this part of Arizona and we spent the night in a motel near Page, AZ so we could be up early for the sunrise at Horseshoe Bend. I highly recommend arriving before 8am, as by 9am tour buses are rolling in and take away some of it’s quiet charm. 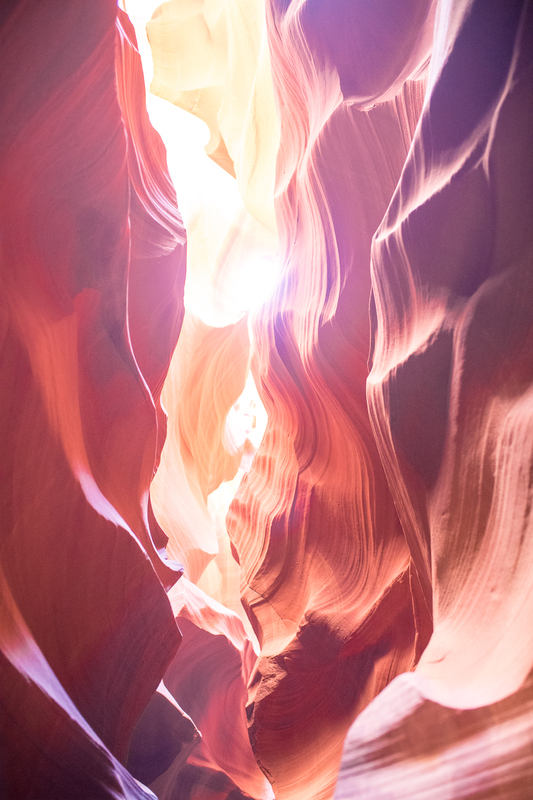 I brought our blanket, camping mugs and a Thermos of hot coffee to enjoy as the sun rose higher in the sky, which was just enough caffeine to tide us over until Ranch House Grill in Page opened and could serve us a hearty breakfast while we waited to tour Antelope Canyon. 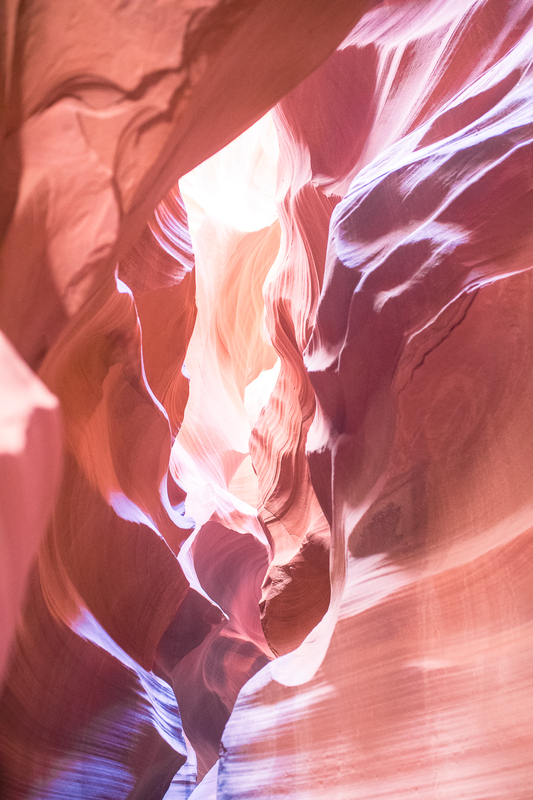 As for all the beautiful, undulating rose colored photos, we were very lucky to snap up last minute tickets to visit Antelope Canyon within 48 hours of our tour time (it’s available to tour by appointment only). 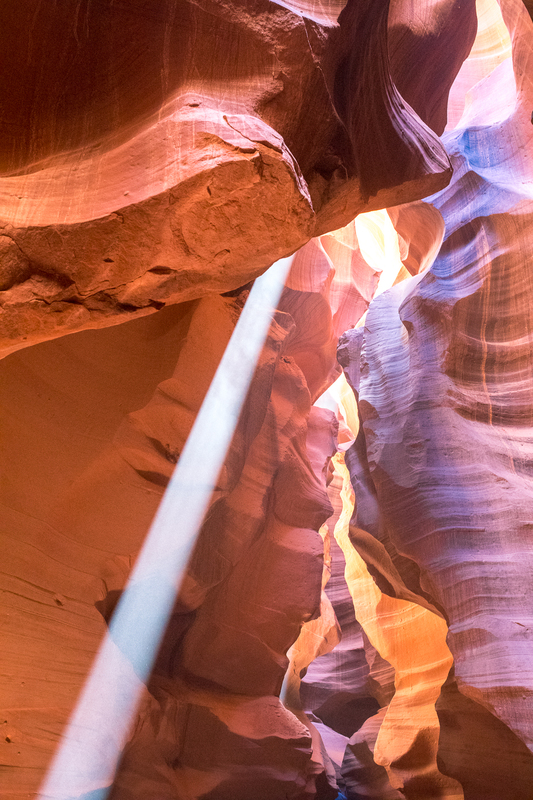 Our tour was at 11:30am, which is the best time to visit because blue rays of sunlight stream through the top of the canyon, creating pools of light on the canyon floor and it’s really beautiful. 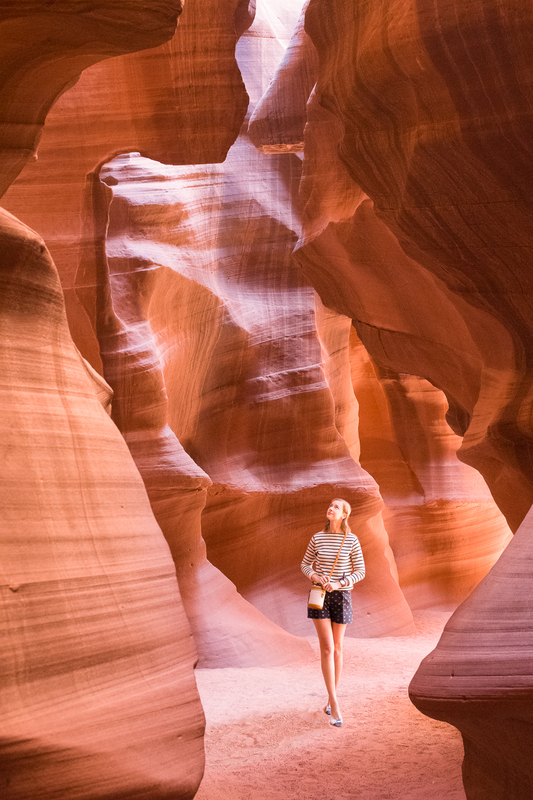 It’s an easy walk through the canyon so no special attire is required, and I just kept it classic with high waisted shorts (last seen here), a cozy sweater and my favorite cap toe ballet flats! 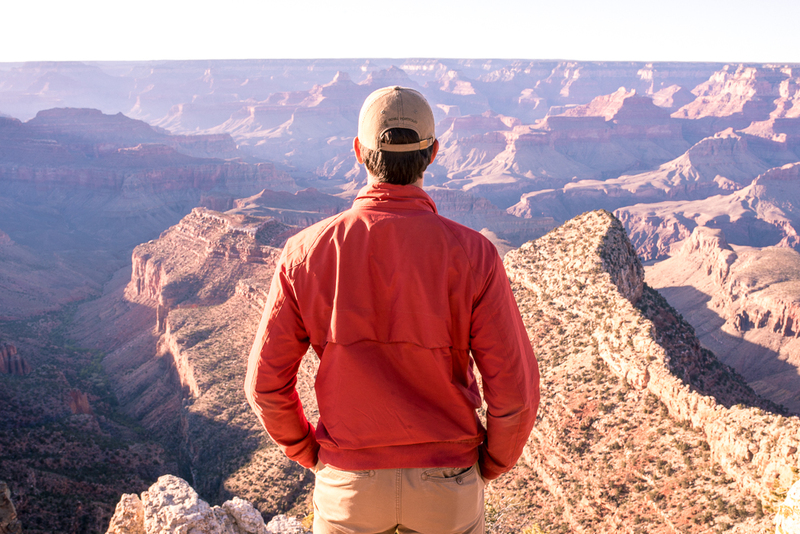 Follow me on Instagram for our day-to-day adventures, and be sure to subscribe to my weekly newsletter and never miss a post!